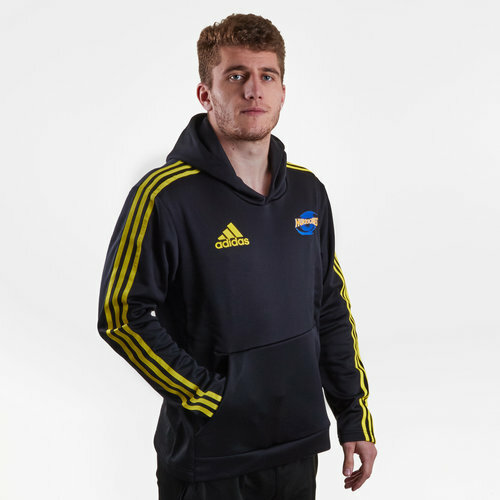 Show your passion and support for the Canes when you pull on these adidas Hurricanes 2019 Hooded Rugby Sweat in Black and Bright Yellow. 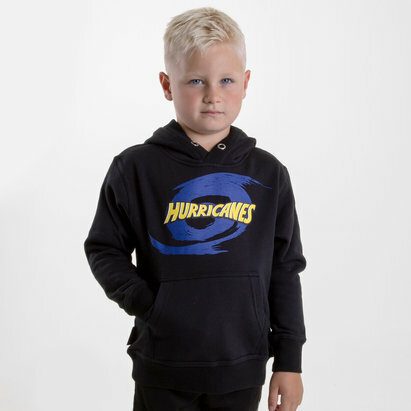 The Hurricanes are a rugby union team from Wellington who play their rugby in the Super Rugby league. Since 2003 the Hurricanes have made the post-season playoffs seven times out of fourteen seasons, including the 2006 final, which they lost against the Crusaders 19–12. After hosting but failing to win the final in 2015, the 2016 season was the Hurricanes' best season to date. They won the final 20-3 against the Lions, after again finishing the regular season first and hosting the final. 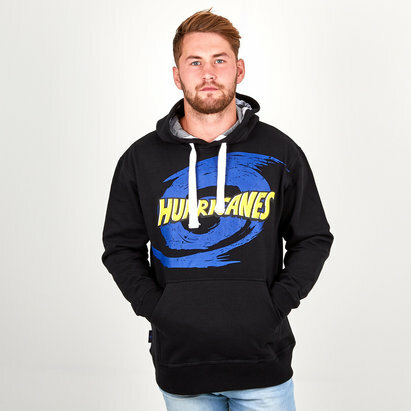 adidas are the Hurricanes kit suppliers with this rugby-inspired hooded sweat paying tribute to the successful side. This sweat has been made from soft French terry fabric and comes in a regular fit making it wider at the body. This hoody comes in black with the adidas classic 3 stripe motif in yellow down the arms, using their traditional colours. The adidas logo is on the right whilst the club badge is on the left.